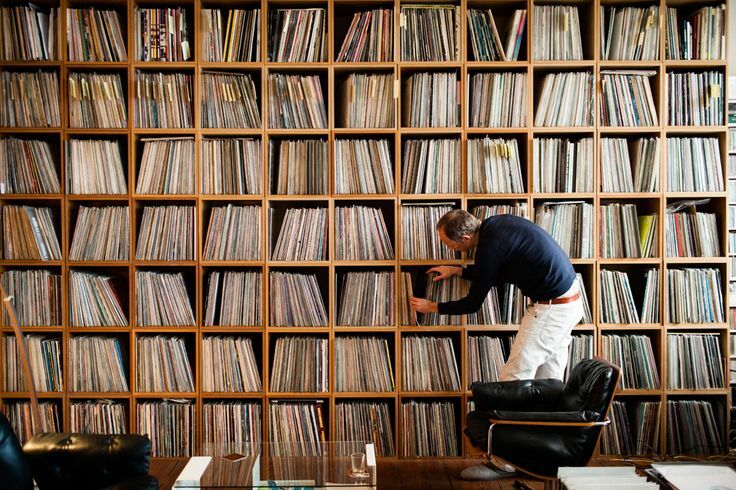 If you love vinyl, you probably collect it. And if you collect it (hoard it, worship it! ), your record stockpile can quickly get out of hand and take on epic proportions – especially considering how many awesome reissues are tempting you anywhere from Urban Outfitters to Whole Foods to Barnes & Noble. Vinyl is meant to be shown off, whether you have a prodigious plenitude of platter or just want to showcase a few examples of kaleidoscopic cover art. 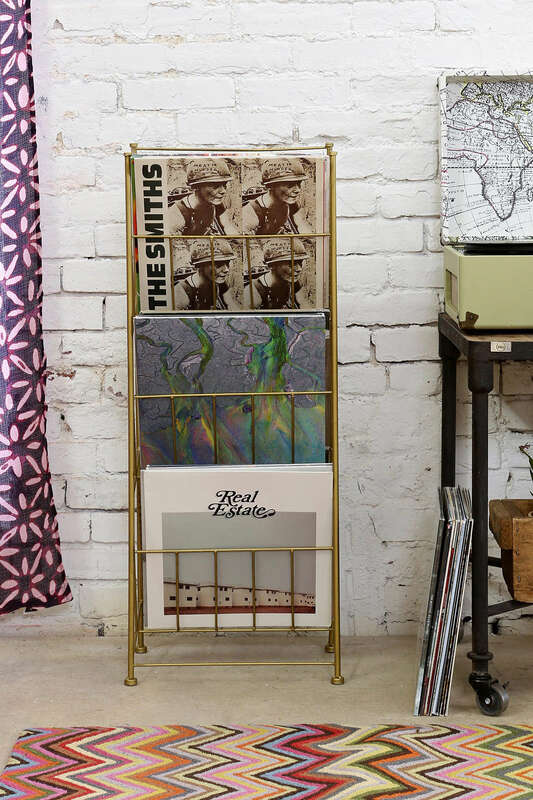 For the style-conscious record collector, we have amassed some decor and storage ideas that really just inspire us to run out and buy more! Snag an uber stylish, custom-made walnut wood cabinet from killscrow.com. 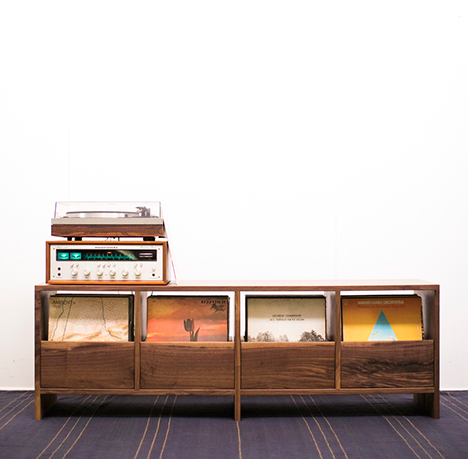 The beauty holds circa 70 records and offers easy access via a soft-closure. 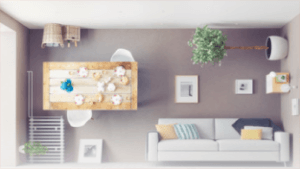 Starting at $1,500 and upwards, it’s not cheap, but it’s oh-so-gorgeous in the best, minimalist way. 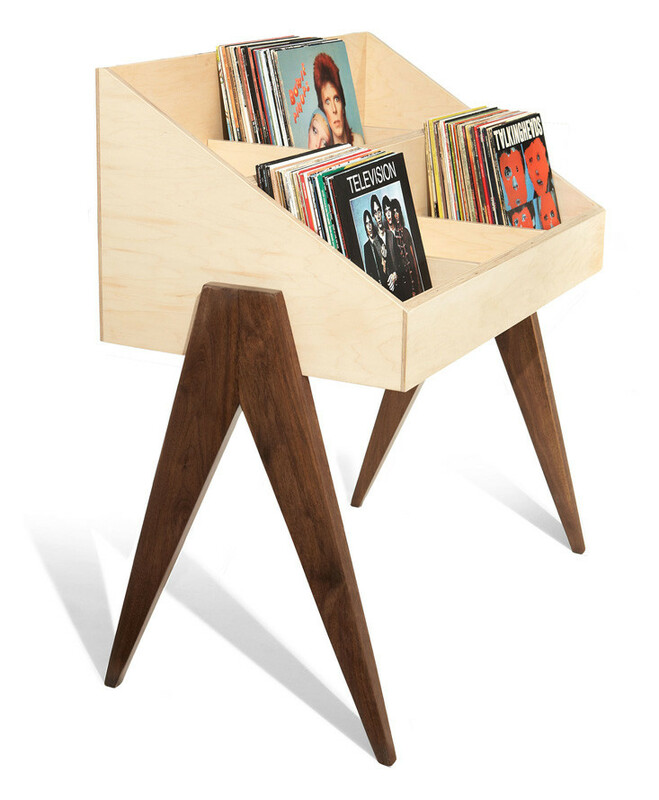 Atocha Design, who specialize in furniture for music aficionados, call this little stand the “punk-rock younger sibling to the Record Cabinet.” It holds a whopping 300 of your fave vinyl possessions and is handmade with de rigueur mid-century–inspired good looks ($1,275 at atochadesign.com). 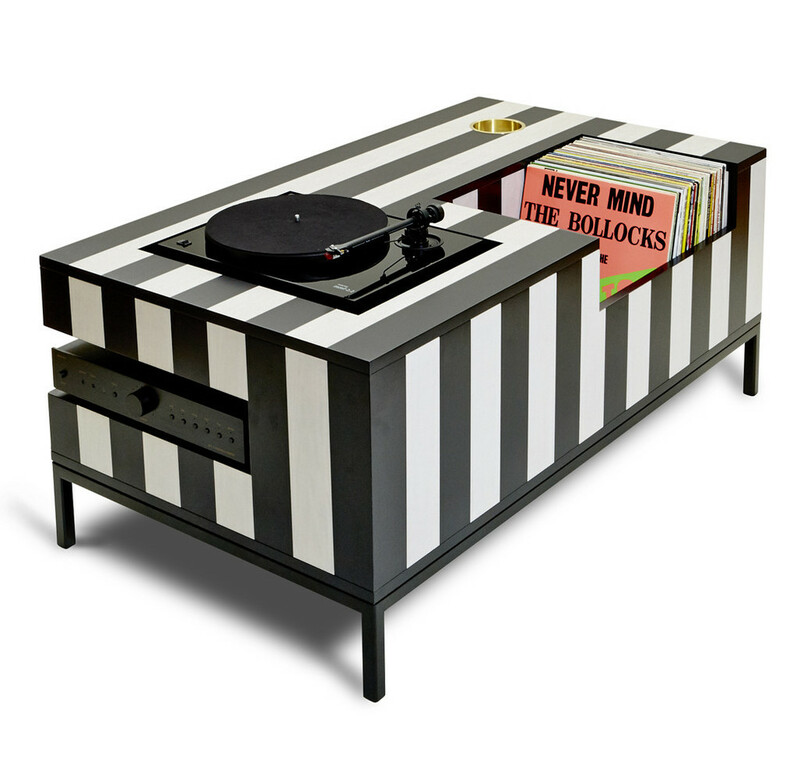 They also make to-die-for DJ stands, record cabinets, and this rock-star-worthy Kick Back Cocktail Table. It’s the Ziggy Stardust (Jack White? Elton John? Kanye?) of cocktail tables. This piece de resistance is irresistibly incredible. The side table doesn’t actually hold LPs. 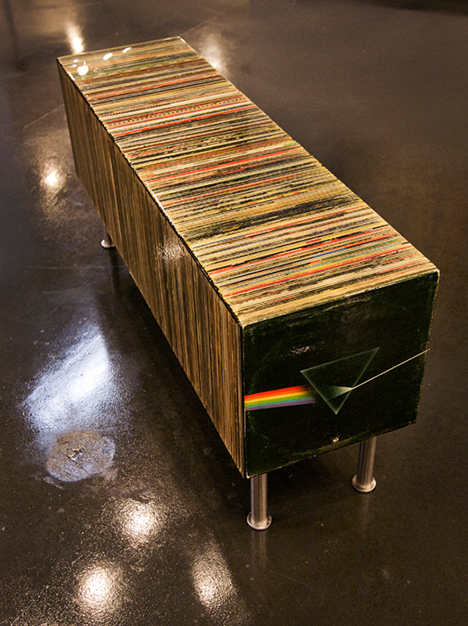 It’s a faux representation with ply-resin coating made to look like a real vinyl collection. Best: You can choose your own album covers. OK, so we lied and it won’t actually store your stuff. But it’s pretty cool, huh? $900 from www.bughouse.com. 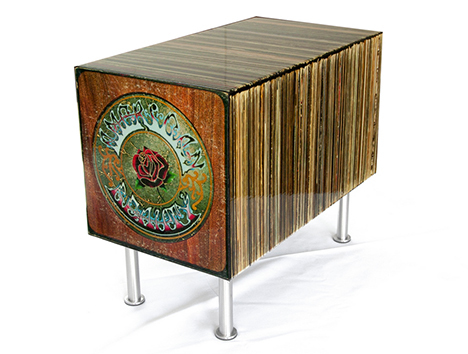 They also make a lust-worthy coffee table (see top image). 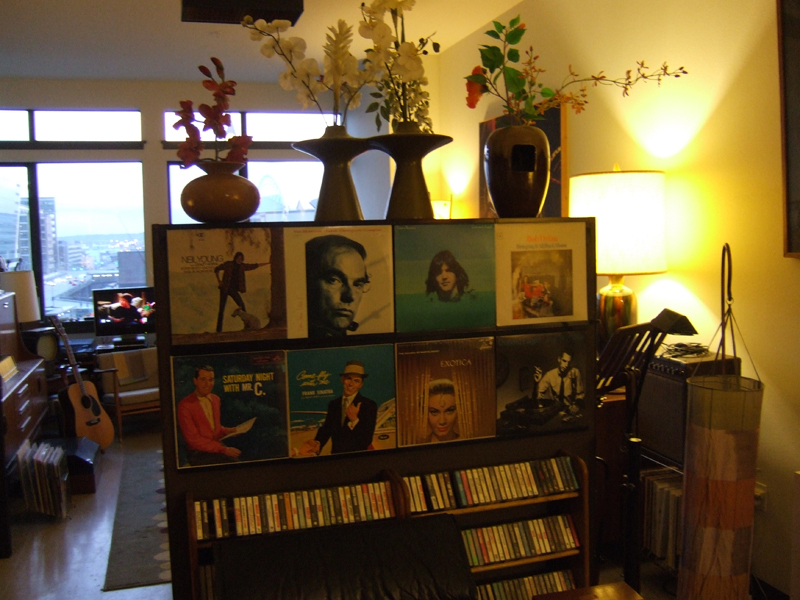 Records as room divider above. 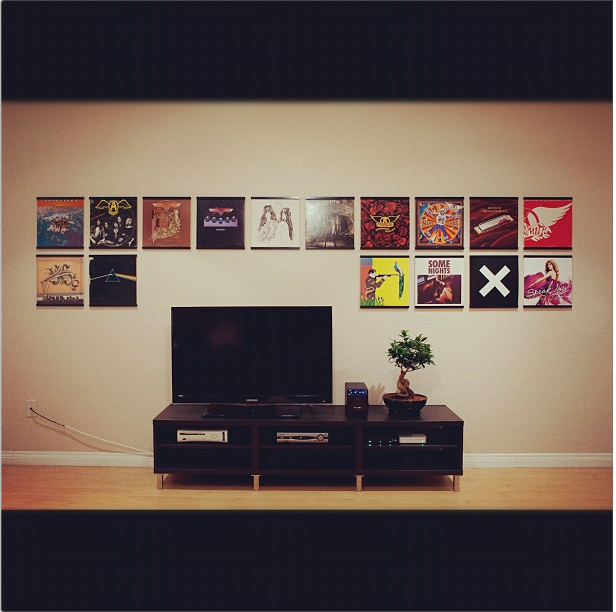 Record cover wall art below.